Make room for your growing digital world. Easy to use, with no software installation necessary. Internal Shock Sensor and Ramp-Loading Technology help protect your drive. One-year standard limited warranty provides even more peace of mind. 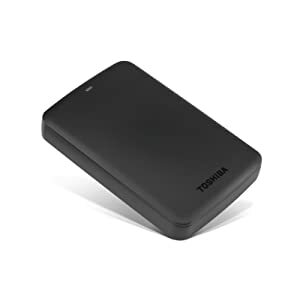 Get all the storage capacity you need for your important digital content—and keep it all in one place, everywhere you go. 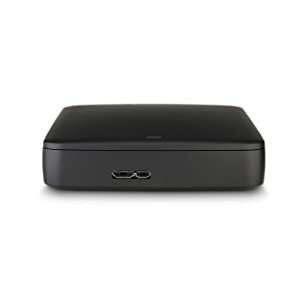 This device accommodates large digital files with spacious storage capacity. Powered directly from the USB port on your PC, it offers easy add-on storage with no software installation necessary and the simplicity of plug-and-play operation. An Internal Shock Sensor and Ramp-Loading Technology help protect your drive from damage due to accidental drops. Toshiba's reputation for long-term durability and reliability, plus a one-year standard limited warranty, provide even more peace of mind. 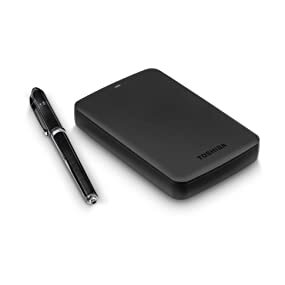 The perfect companion for your laptop, this portable hard drive offers large amount of storage—all in a compact, smudge-resistant design. So you can take all your files with you, without carrying a heavy load. Whether for work, school, or digital entertainment, the Canvio Basics Portable Hard Drives meets your storage needs and your lifestyle. Powered by new USB 3.0 technology, Canvio Basics 3.0 portable hard drives are far faster than—but still compatible with—USB 2.0 technology. Just plug them in and start protecting your data. 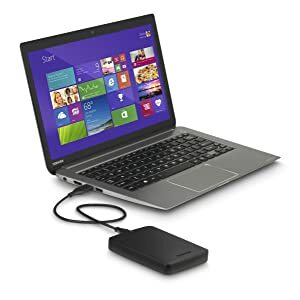 Discover one of easiest ways to add high-capacity storage to your computer with Toshiba's Canvio Basics portable hard drive, offering a simple plug-and-play solution right out of the box. 1. 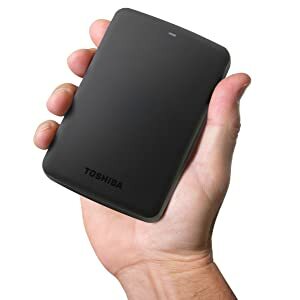 External HDD Capacity: One Gigabyte (GB) means 109 = 1,000,000,000 bytes and One Terabyte (TB) means 1012 = 1,000,000,000,000 bytes using powers of 10. A computer operating system, however, reports storage capacity using powers of 2 for the definition of 1GB=230 = 1,073,741,824 bytes and 1TB = 240 = 1,099,511,627,776 bytes, and therefore shows less storage capacity. Available storage capacity will also be less if the computer includes one or more pre-installed operating systems, pre-installed software applications, or media content. Actual formatted capacity may vary. 2. To minimize the risk of data loss, always make back-up copies of data on a separate storage device. The applicable standard limited warranty limits Toshiba's liability for damages of any kind, including damage to, or loss or corruption of, stored programs or data. 3. Warranty: The terms and conditions of Toshiba's standard limited warranty are available on our website. 4. The hard drive is formatted NTFS. Mac compatibility will require reformatting the drive to an OS X compatible format.